One of the most important skills for beauty business success is the ability to relate to people. Get to know yourself by developing greater self-awareness and your clients and team members will receive the benefits. In order to build meaningful connections, we need to get to know ourselves on a deeper level. The more we know ourselves, the better we understand others. Knowing yourself allows insight into others’ emotions allowing you to effectively communicate with your clients and grasp a better sense of their needs. Self-awareness allows you to be more open and honest with yourself, especially regarding your strengths and weaknesses. A deep understanding your own limits and weaknesses bring greater awareness to any situation. Knowing your weaknesses allows you to ask for help from the right people and the best resources. Admitting limits and weaknesses isn’t easy for a lot of people. Yet, it’s one of the most important soft skills needed to improve your personal life, as well as help you to grow your beauty business. If you can’t “see” your own weaknesses, you could be in a state of denial, making it hard to accept certain truths. This could prevent you from receiving constructive feedback which could inhibit growth. Setting unrealistic goals or deadlines that you can’t meet. Developing “blind ambition,” which leads you to feel like you have to be “right” all the time and makes it hard to become receptive to constructive feedback. Unwilling to make changes by thinking that “this is how things are done” and/or “if it’s not broken don’t fix it.” This mindset often creates mental limitations and prevents your creativity from flowing freely. Turning into a workaholic because you’re unable to accept help and delegate tasks that aren’t your strong suits. This could impact your health and lead to burnout. Being resistant to feedback or constructive criticism, which makes it even harder to recognize your own challenges and get the help you need. This creates a vicious cycle, making it even harder to overcome the problem. 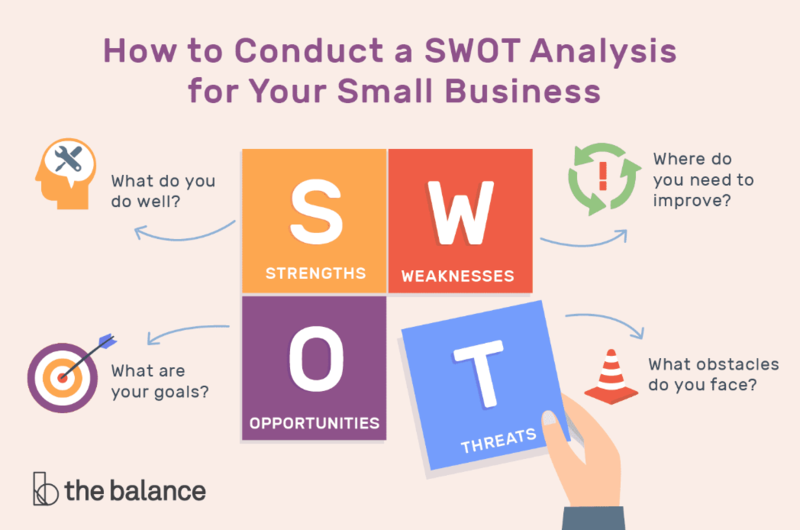 A SWOT analysis can help you uncover your weaknesses and recognize your strengths. You can apply this tool to both your personal life and your business. SWOT stands for Strengths, Weaknesses, Opportunities, and Threats. Your strengths and weaknesses are internal and within your control. Opportunities and threats are external, which means you only have limited (or no) control over most of them. How can you apply your strengths to maximize current opportunities? What can you do to turn your weaknesses into future opportunities? How can you use your strengths to neutralize threats? Gain a deeper understanding of what you can control (i.e., strengths and weaknesses) to external circumstances (i.e., opportunities and threats,) to position your strengths and weaknesses to your advantage. Identify opportunities that will allow you to turn your weaknesses into strengths. This gives you the ability to leverage opportunities best suited for your business. Seeking honest and regular feedback from those you trust will help you avoid blind spots caused by the lack of self-awareness. We only need a small circle of the right people. Your “Circle of Genius” – is a handful of people who have your back and will always give it to your straight. They’re supportive but don’t sugarcoat feedback. It’s important to choose just a few people you absolutely trust for this purpose instead of getting everyone’s opinion. Not all opinions matter. 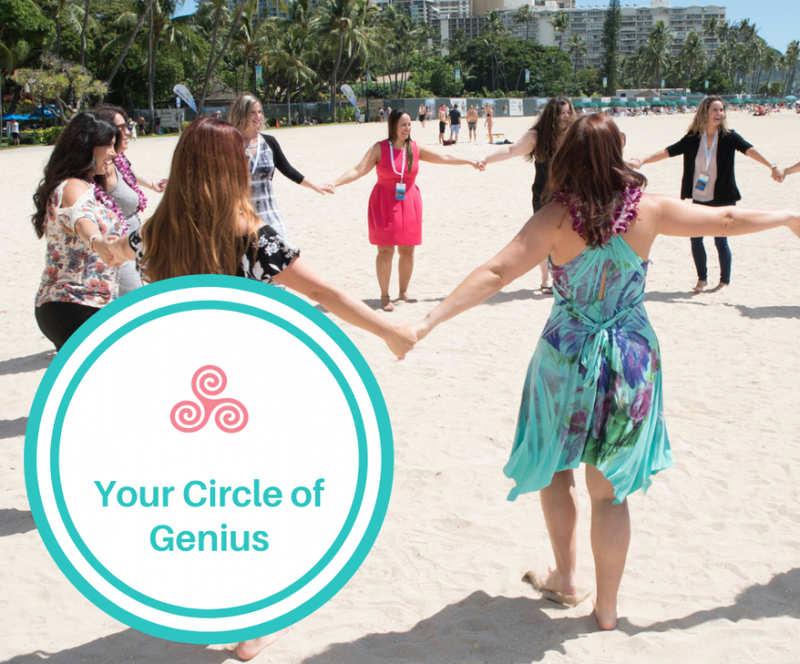 Connect with your Circle of Genius regularly to get honest input. This type of feedback is invaluable if you put it into motion. Take action and make the necessary changes that will lead to either personal or business growth. This blog post was inspired by a Masterclass in the Esthetician Inner Circle Membership: “Beauty Business Survival Skills.” Gain immediate access to all recorded Masterclasses by becoming a member today.